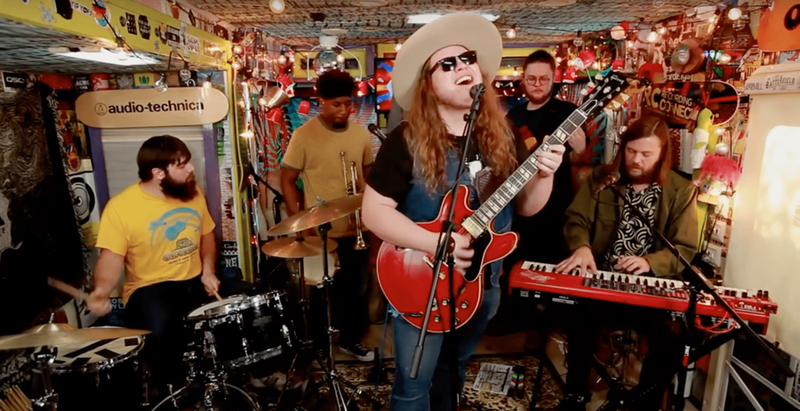 The Marcus King band coming to the Mustang Spring Jam this Sunday. Spring on the Outer Banks is a remarkable time and this coming weekend is what it’s all about. It’s a weekend with two great events—the 3rd Annual Shredfest on Saturday at the Nags head Event Site and on Sunday it’s the 7th Annual Mustang Spring Jam in Corolla. Shredfest is all about if it has wheels it can shred, but there’s some great music as well. Personal favorite is The Ramble taking the stage at 4:00. If music is the theme, though, nothing quite matches what Mike Dianna and his Bearded Face Productions does with the Mustang Spring Jam. Six bands will take the stage over the course of the day. Well, seven, because the Mustang Music Outreach kids always kick things off and they are really worth checking out. There is a great local band in the mix—Sensi Trails. Featuring some tight reggae arrangements with very good musicianship, it’s a group that’s a real pleasure to watch. The headliner, though is really gong to be exciting. The Marcus King band has been wowing audiences wherever they play with their eclectic blend of southern rock merged with psychedelic. Great musicians playing music the way it’s supposed to be played. One of the features of the Mustang music festivals is the use of multiple stages so there is no gap in the music between groups. When one band wraps up the next is ready to go immediately. The Mustang Spring Jam raises money for two great organizations. The Corolla Wild Horse Fund has been protecting the Corolla Wild Horses for the past two decades and through their efforts the herd may yet survive intact. The Mustang Music Outreach teaches kids about music and performance. It’s a great program; the kids learn a lot and music director Ruth Wyand makes it all fun. Need accommodations for the weekend? Check out our rentals at Joe Lamb Jr., & Associates.